The winter chill makes your hands cold but your heart warm. It’s the season for fireplaces and snuggling. 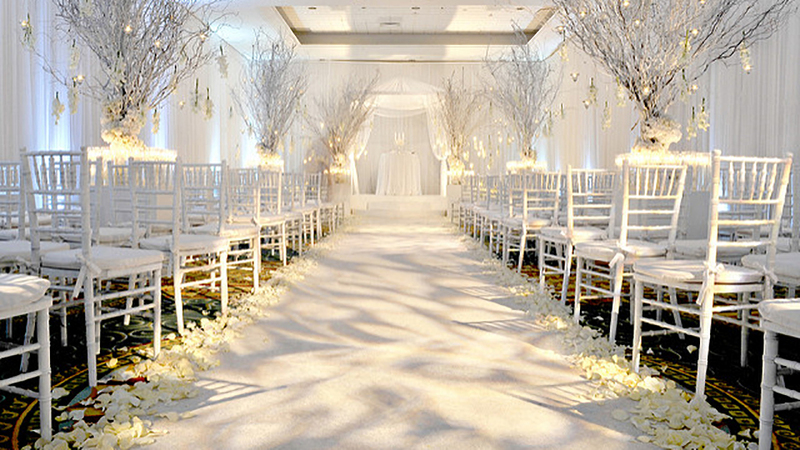 For weddings it can be a winter wonderland of decorations and festivities. Incorporating seasonal touches and themes will lend an air of magic. 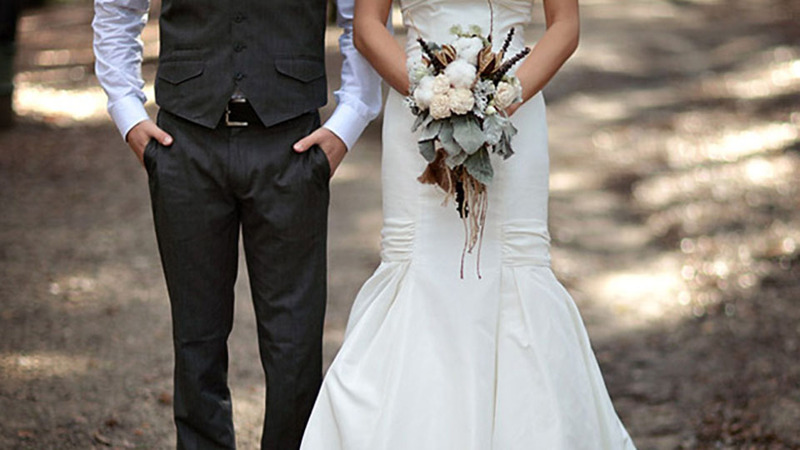 A few simple touches can help you create a cozy aura and make your special day unforgettable. Cater to your guests’ desire for sweets and spirit with themed snacks. Make sugar cookies with festive cookie cutter shapes. Ribbons, Santa shapes, Christmas trees, ornaments and snowmen are always holiday favorites. Little caramel candies are festive and often inexpensive. 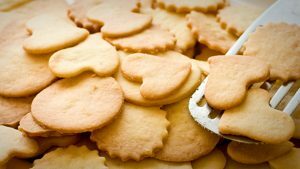 Also, consider an interactive and holiday-centered snack option such as Nutcrackers and varied nuts. They would be lovely table pieces as well. Bare woodland palette themes add an instant rustic appeal. Consider using wooded tables and chairs. Adding pinecones to the cake or table decorations adds a woody, earthy feel. 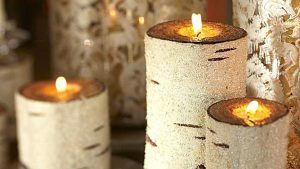 Look for ways to incorporate more wood and birch pieces within your decorations for a cozy ambiance. There are lots of fun ways to add more greenery to the décor. 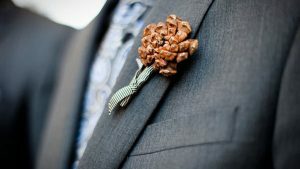 For example, using mulberry and ever green in the men’s boutonnieres. Red roses, calla lilies, and amaryllis are lovely winter flowers. 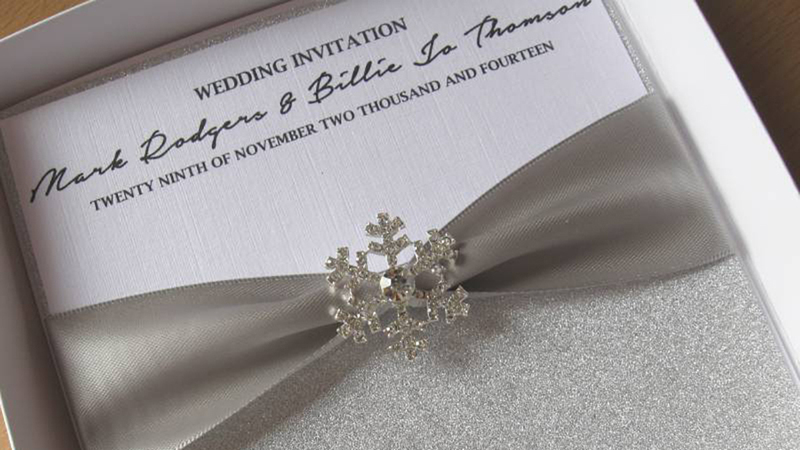 The invitations are your chance for a wonderful, wintry first impression. Elegant, ballroom formal is always in style for the holiday season. Silver and white envelope liners will add an air of sophistication. Extra touches such as hand calligraphy and frosted Plexiglas will really make your invites stand out. The tables provide the up-close experience for guests to socialize and feel a part of the environment. Add some mulled twine, cinnamon sticks and winter berries for a cozy feel. Frosted pinecones are another easy and cheap way to bring in the earthy and wintry vibe. Candles are always popular. Add touches of twig and holiday scents for ambiance. 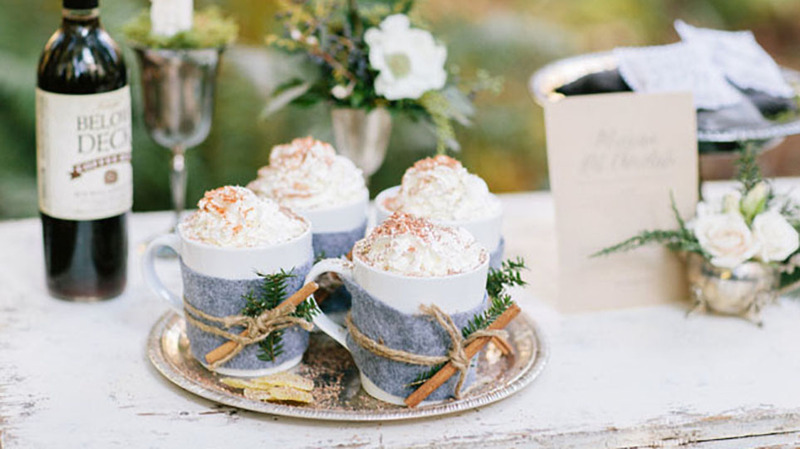 Drink in the holiday spirit with a hot cocoa bar. 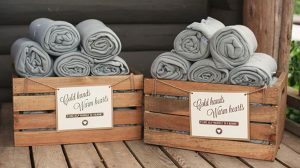 It’s inexpensive, adorable, and always popular with guests. Using mugs would be adorable and cozy. You could hang them to add to the overall look. Other yummy wintry drinks include mulled red wine, champagne, and hot apple cider. It’s cold outside, and everyone loves a cozy atmosphere. 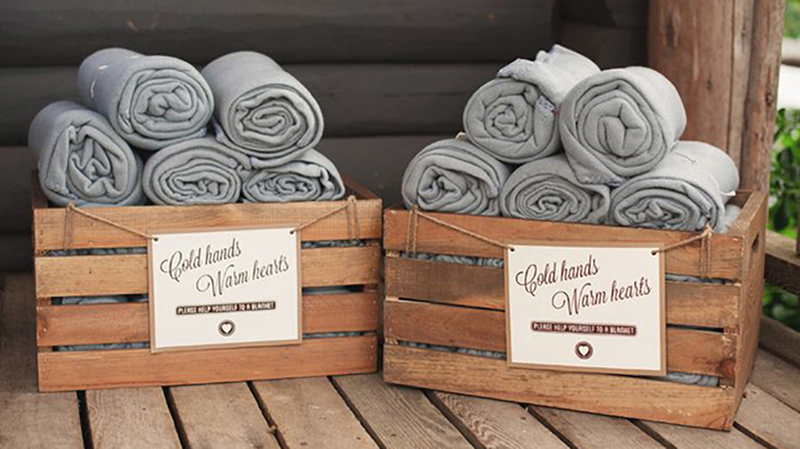 Providing snuggle blankets for your guest will be a delightful surprise. It will play into the season in a practical way. 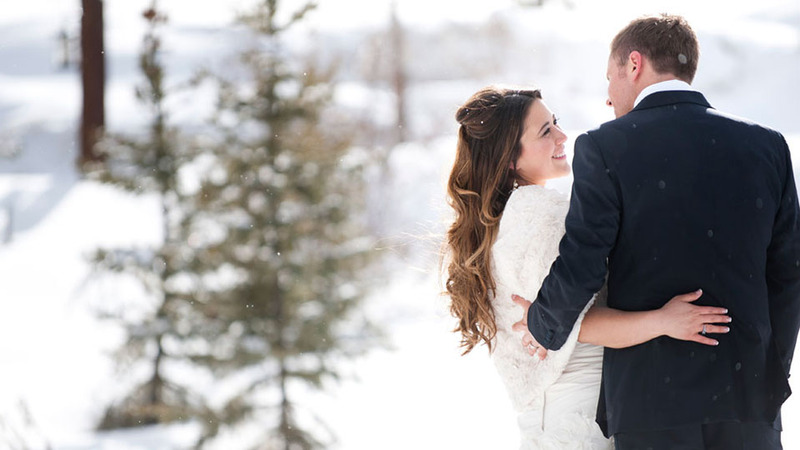 Consider going over the top with sleigh rides as either your honeymoon getaway or a fun party activity. 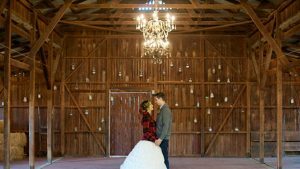 Not only would it play into the season, but also it would be a fun experience that will make your special day more than memorable. 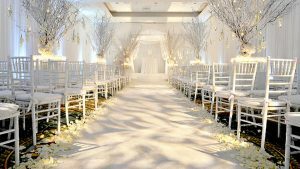 When it comes to creating the right ambiance, it’s important to find the right wedding venue. Make your party a wintry bash with a larger than life venue. For example, one historic Nashville wedding venue offers nearly 10,000 square feet of space. Using facilities like this will allow plenty of room for wintry decorations. Choose a huge space to create the perfect Winter Wonderland. Add festivity to your attire with some fun snuggly additions. Long white capes are elegant and cozy. It will make you feel elegant and sophisticated, while still being practical. 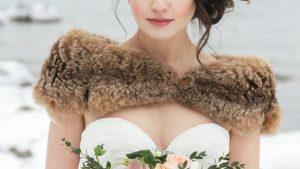 Consider adding a soft fur wrap around. It’s fuzzy and photographs well. It’s amazing how tiny adjustments can make a huge difference in the overall feel of an event. In celebration of the season, there are several wonderful options for winter vibes. Consider recreating some of the outdoor elements with a confetti blizzard. Simple pieces like a cotton ball bouquet will add to the cozy look and feel.